My husband and I are very pleased with our patio. It turned out better than we had expected! TG and Bobby was easy to work with, came in on budget, and the patio was finished when he said it would be. I also feel confident that in the future if we do need any repairs, Simmons Landscaping Services will still be in business and will be just as responsive and professional as he was for the installation. In addition, we were impressed that he didn't just focus on the patio. He shared ideas and made recommendations which enhanced the entire yard. We now have a landscape plan that we can build on over the years. Once the job was finished, his crew ensured that everything was cleaned up and in better shape than when they arrived. It was a pleasure to work with someone who is a professional and committed to quality. We will continue to use Simmons Landscaping Services for all future projects and will recommended them to our friends and neighbors with confidence that they will receive the same treatments as we did. Simmons Landscaping serves areas located in Dublin, Central Georgia. Simmon’s landscaping services focuses on customer satisfaction. Our main goal in providing landscaping services in Dublin is to offer our clients a multitude of economical solutions that are practical and beautiful. Landscaping is important in properly maintaining property or land. Simmon’s landscaping takes great pride in creating a quality environment for both potential clients and communities. We are simply one of the very few reliable landscaping companies in Central Georgia that has serviced clients for nearly a decade. Simmon’s landscaping services areas in Dublin, Central Georgia. Simmon’s landscaping understands that business revolves around customer satisfaction. In this economy, a happy customer is key to creating a successful and reliable business, especially with many of the landscaping services available. 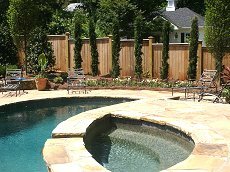 Every landscaping job we have serviced for a client is a growing testimonial to our creativity, dedication, workmanship, and reliability as a landscaping service in Central Georgia. Our landscaping service focuses on developing professional landscaping plans that can accommodate our client’s needs and desires. Simmon’s landscaping also strives to create long-lasting relationships that flower as beautifully as the quality of our landscaping services. Simmon’s landscaping services in Dublin, Central Georgia meet and exceed the expectations of clients in nearly every way. Many clients are surprised when they receive a phenomenal service, especially with our competitive pricing. Simmon’s landscaping service commits to the highest of business ethics and keeps our responsibilities to both clients, employees, and our community. Our landscaping service is based on the concepts of both hard work and customer satisfaction. Unlike other landscaping services in Dublin, Central Georgia, Simmon’s landscaping makes sure that we keep do not let down our client in any way, form, or fashion. We believe that any landscaping service should value the faith that clients have in their provider. Simmon’s landscaping service is grateful for the amount of trust that our clients put into us every day. Our landscaping services are performed with the highest quality, which will last for many years. The landscaping service industry in Central Georgia has expanded quite rapidly. However, many of these landscaping “firms” are amateurs. They provide an extremely low price, but provide sub-par landscaping services. Most clients are dissatisfied with these types of landscaping services. Often, our clients are very surprised when they are introduced to our competitive pricing, but see our quality work. Simmon’s Landscaping is one of Dublin, Central Georgia’s finest and most reputable landscaping firms. Simmon’s Landscaping is dedicated to providing the best landscaping services for the proper maintenance of land properties. Simmon’s Landscaping is proud to service the Central Georgia area. Our landscaping service has been very successful in keeping our client’s faith and satisfaction very high. We are one of the fewest landscaping firms that are regarded with the trust needed to perform a quality job for your landscaping needs. Our ultimate focus on customer service should provide the confidence and trust you need to ensure that your property will be treated with professional care and maintenance. When choosing from landscaping services in Dublin, Central Georgia, Simmon’s Landscaping should be your top choice.